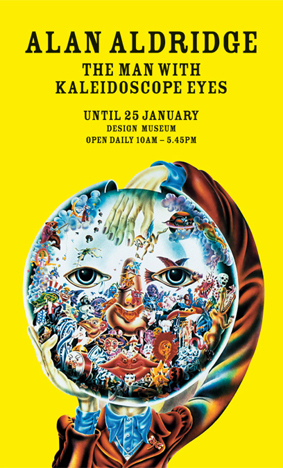 Alan Aldridge – the man with the Kaleidoscope Eyes is the first UK retrospective featuring the works of the celebrated illustrator and graphic designer Alan Aldridge. Dubbed the graphic entertainer in the 1960s and 70s, Aldridge illustrated lyric books for the Beatles, album covers for the Rolling Stones, the Who and Elton John, was Art Director for Penguin, illustrated children’s books such as the much loved The Butterfly Ball and designed adverts and identities for iconic brands such as the House of Blues and the Hard Rock Café. The exhibition will be an elaborate display of complete works as well as sketches, notes, letters and other archival material as well as films; bringing to life the exciting career of Alan Aldridge.